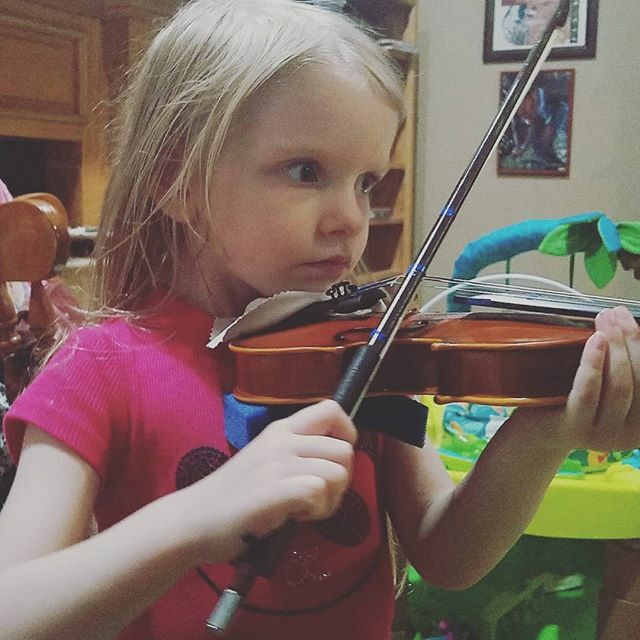 Miss 4 loves music, and she’d been begging us since forever for a “pretty little violin.” I did a lot of research, and last year, she started taking violin lessons. While I know that she enjoys her violin, sometimes lessons are a struggle (as anything at 4 could be expected to be). Do your children take music lessons? What do you do to get them to practice? 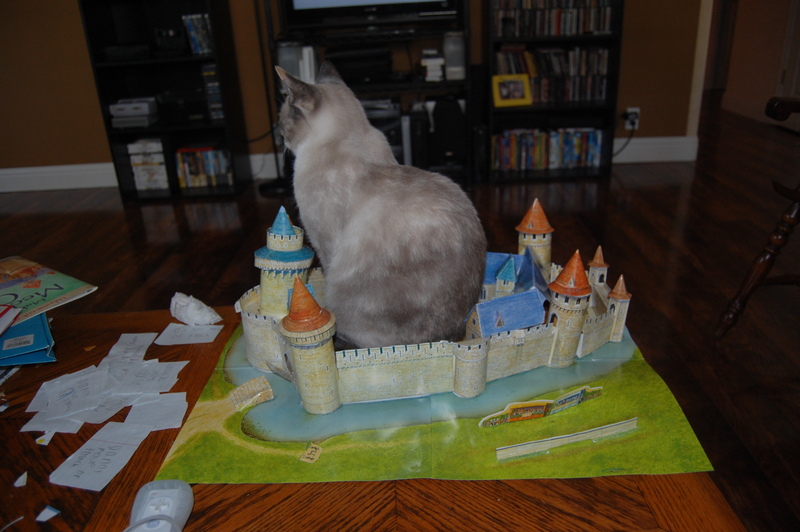 In 2012, my oldest built this castle from a kit as we studied the Middle Ages. Our family cat (well one of our cats) decided that it was the perfect spot for her to lounge, so lounge she did. This castle found a home in my husband’s work office for a long while. One of the awesome things about homeschooling is how fun the projects are for the whole family. This is still one of Mr. College’s favorite projects he put together. What projects have you done that have been a lot of fun? I’ve been a fan of TinkerLab’s art, science and STEM projects for some time, but for some reason, I didn’t realize they had this monthly challenge. I think it will be a lot of fun to undertake this challenge with the kids! 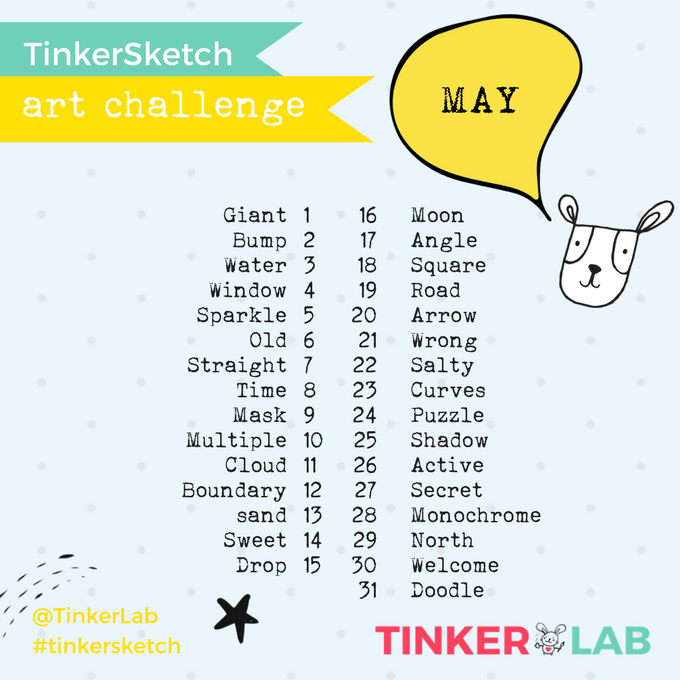 Head on over to TinkerLab to learn more about the May TinkerSketch art challenge – and follow me on Instagram to see what we come up with over the course of the month. It’s going to be fun to dig out the sketchbook and create art with the kids. Will you be participating in the challenge? How strict are you when it comes to sitting properly for penmanship practice? 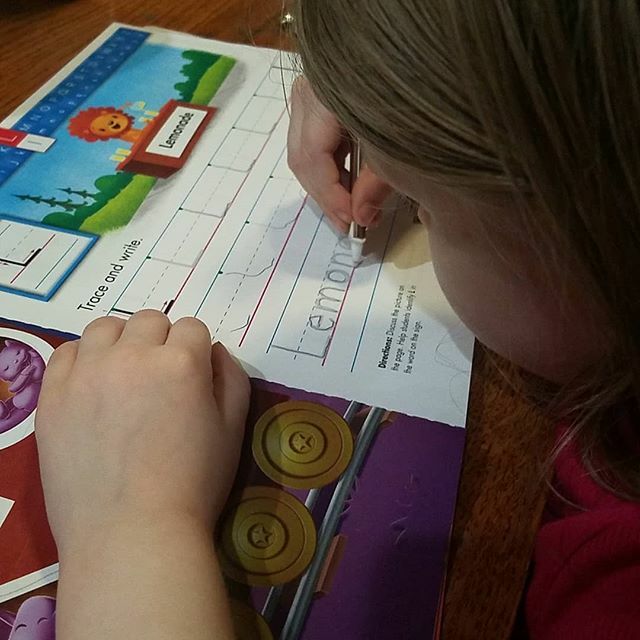 Princess Boogie, 4, is just learning how to write, so I haven’t been a stickler about having to be 100% about her posture (In fact, I’m not sure I was strict about it with College Boy, 19, either). Right now, it’s student-initiated. She wants to learn to write, but she’s also a wiggle worm. (The book is Zaner-Bloser Handwriting Level K – I’ll write more of a review of their products soon). So: Sit down feet firmly on the floor or kneel at the coffee table/wherever else she happens to be when working on her letters? What Life Skills Are You Teaching Your Children? My small ones love helping around the house with various tasks. 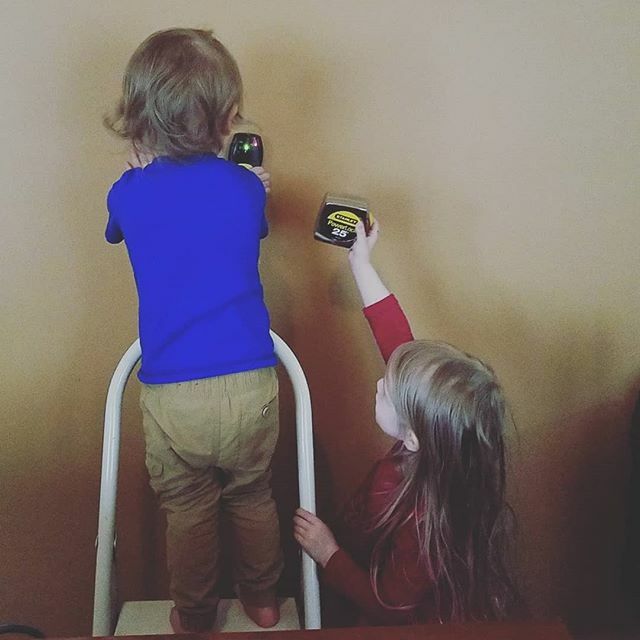 Here they are, using the stud finder and measuring tape to “help” mount the television set in our master bedroom. What sorts of chores/tasks do you let children help with? Do you have a list of skills you’d like them to learn by the time they graduate and leave home?